D60 luminaires ship with hanging yoke, very narrow secondary lens, media holder, choice of body color and a UL1573 PowerCon power input cable with a connector and color array of your choice. 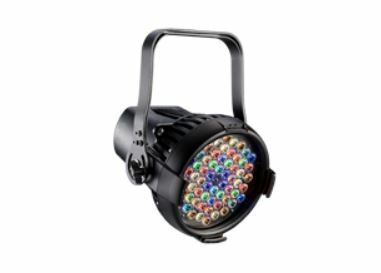 Desire D60 color arrays There are four arrays to choose from: spectrum-specific color extremes, clean white, or bold colored lighting. You can order one of the color arrays when purchasing a D60 luminaire.